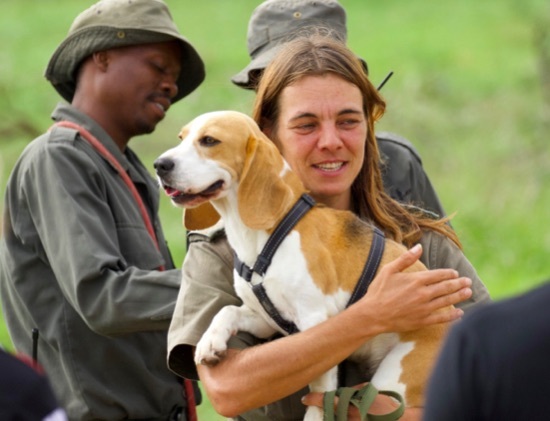 Over the past three months, the Southern African Wildlife College’s K9 Unit has connected with a number of new contacts, largely through the team’s presence at a conference on working dogs in KwaZulu Natal as well as at the International Working Dog Conference in Johannesburg. What has followed is a series of invitations to assist other K9 Units in Southern and East Africa. 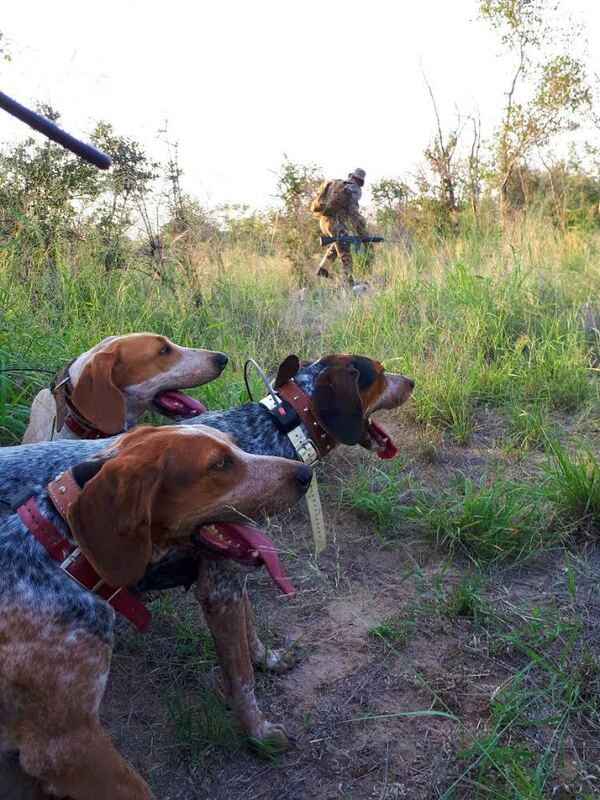 The unit has also been asked to assist Hluhluwe-Umfolozi Park in KwaZulu Natal to establish a new tracking dog unit. Parks in Zambia and Kenya have also expressed the need for the College’s assistance in the training of their dogs and handlers. All of this is fantastic news, bringing great opportunities and new challenges. “Here at our own kennels we are making really good progress”, says trainer Tina de Flamingh. The second pack of the College’s off-leash tracking dogs are now ready for live operations and can barely wait to be let loose on their first poacher track, marking the beginning of their ‘real’ working lives. As soon as the dogs’ training vacancies open up, they are filled again. The next generation, and the unit’s latest four additions to the tracking family, are the 6-month old puppies! They are now climbing the ladder towards success and are all proving to be very efficient off-leash trackers, gaining in confidence and skill with every passing day. With the new contacts and the success of the College’s tracking dogs in the field, it should come as no surprise that these well trained dogs are in high demand. 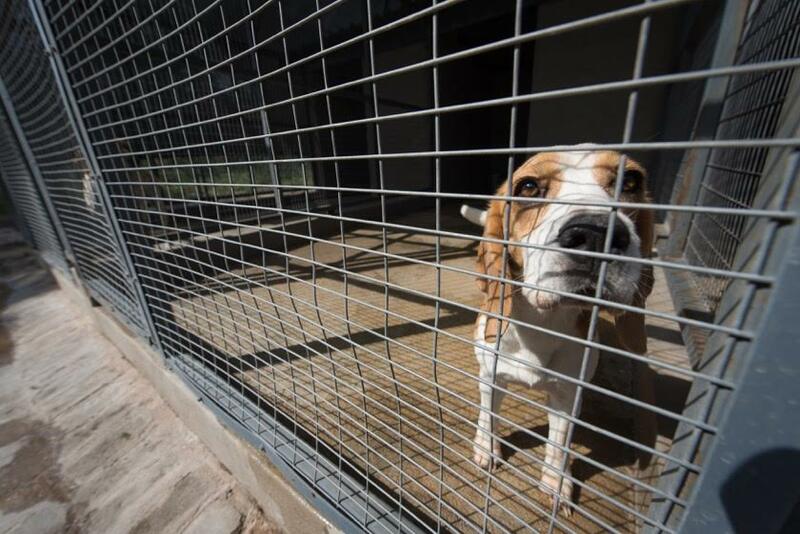 One of the beagles, with her incredible sense of smell, will have the opportunity to be put to work doing what she loves best on a daily basis. “As much as we take a lot of pride in our dogs’ accomplishments, we are filled with some sadness when we have to let our talented friends go out to do what they love doing most, somewhere else. We do, however, always look forward to making a difference by training the heroes of the future, the ones who will assist us in the fight against poaching and wildlife trafficking,” says de Flamingh.